One of the highlights while visiting Seville is going on a river boat cruise on the waters of the Guadalquivir. Join one of the cruises and let the friendly crew guide you through several centuries of history on Seville’s most exciting sightseeing tour. From the awe-inspiring Giralda to the ancient Torre del Oro (with its mysterious past) and onto the Barrio de Triana, experience the best views the city has to offer while enjoying a relaxing cruise along the River Guadalquivir. 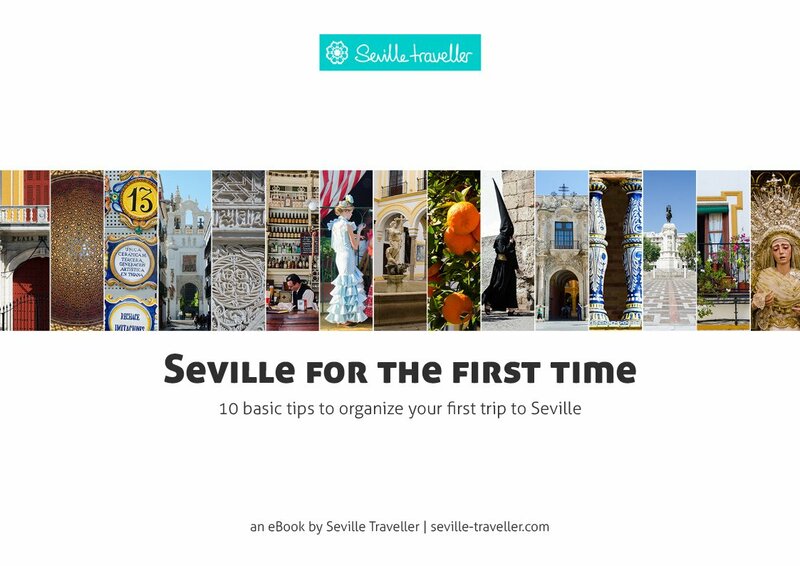 A journey along the river provides a unique insight into the surprising and ancient history of Seville. And this is true whether you are a local or a visitor. For one hour you will cruise along the city’s main river and enjoy the wonderful views of Seville’s most beautiful panoramas, including the historical center, a UNESCO World Heritage Site for some years now. Observe the picturesque 19th century popular houses of Triana, and the enchanting bridges. You will also sail around the Parque de Maria Luisa to get a view of the 1929 Ibero-American Exhibition. Experience the beauty of Seville as seen from the only navigable river in Spain, the Guadalquivir. Get a complete perspective of both riversides, confronting the old part of town with the most modern one. Book the evening cruise, especially in winter, and offer yourself one of the most amazing sunsets you can dream of. The light after the sun sets is one you will never forget. Alternatively, you can take the whole family together and hop on a ship for an amusing morning or afternoon ride. The Guadalquivir cruise is perfect if you plan a romantic and peaceful ride and for the whole family participating in the city’s discovery. While on board you get a wide perspective of both riverbeds. It’s amazing the number of famous Seville landmarks you can see from a boat on the Guadalquivir and how close together they truly are. On one hand you’ll see a large part of the sights starting with the Torre del Oro itself, the Maestranza bullring and some of the pavilions of the 1929 Ibero-American Exhibition. On the other hand, you’ll see a much modern Seville with a panoramic of the Remedios neighborhood and part of the Cartuja Island. The most beautiful stretch is the Calle Betis (Betis Street), one of the most picturesque landmarks of Seville. This street is part of Triana, a very popular neighborhood where you can truly sense the deep Andalusian culture. Furthermore, the boat will go under nine bridges being the Quincentenary Bridge the closest to the sea and the Alamillo Bridge the furthest. Out of these bridges, I would like to point out two of them. Both were built for the Universal Exposition that was held in Seville in 1992 (Expo’92). This Exposition was organized to celebrate the 500th anniversary of the discovery of America by Christopher Columbus. The first one is the Barqueta Bridge, popularly known as ‘the basket’. It was built as part of the infrastructure improvements accomplished for the Expo’92. Actually, it is the main entrance gate or access to the Cartuja Island where the Universal Exposition site was. Today, most of the island has been transformed into offices but there are some place worthwhile a visit such as the Cartuja Monastery where the Contemporary Art Centre (CAAC) is, the Pabellon de la Navegacion and to Isla Mágica, an amusement park. The other one is the Alamillo Bridge. Designed by the Spanish architect Santiago Calatrava, it provides access to the Cartuja Island, where the most of the Expo’92 pavilions were. It is probably the most beautiful bridge in Seville because of the contrast it gives between its modern design and the colonial architecture of the city. Moreover, it can be seen from everywhere: if you take an AVE train from Madrid you will spot it from your seat.